Last night Future hosted a listening session for his new album Pluto at the legendary Stankonia Studios. Future played the entire album, which included records with R. Kelly and Snoop Dogg. 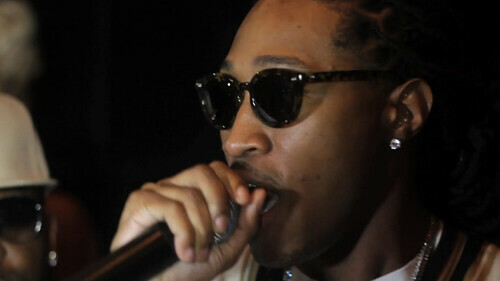 When Future’s hit "Same Damn Time" came on, he grabbed the mic and gave the crowd an impromptu performance. It looks like Rocko was in the building as well. Cam Kirk (@Cam_Kirk) was on hand to catch the footage. Check out Future performing "Same Damn Time" after the jump! This entry was posted in Behind The Scenes, Performances and tagged Cam Kirk, Future, Rocko. Bookmark the permalink.